Are you familiar with mStoner- the all-round Higher Education experts and marketing and communications agency? In case you’re not, they offer advice to universities and colleges on everything from online marketing and recruiting to building affiliations and fundraising. The reason we ask is; they’ve just released a social media guide for university presidents, a book which offers helpful tips, examples, and worksheets to make a president’s social media presence much more powerful, effective, and strategic. 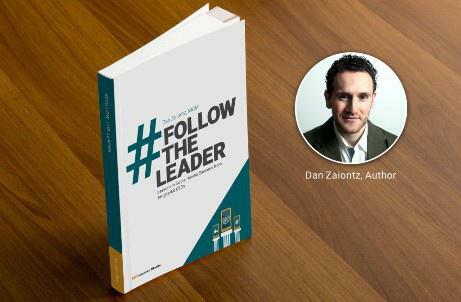 #FollowTheLeader: Lessons in Social Media Success from #HigherEd CEOs is one book that every college or university president needs to read from cover to cover. 1. Why do you think higher education as a whole has been so slow to adapt to social media? I actually don't believe that higher ed has been slow to adapt social media: there were a lot of early adapters on campuses. But I think that higher ed has been slow to recognize the value of managing outreach via social channels strategically and effectively, which is different than simply using it. In reference to #FollowTheLeader specifically, we believed that presidents needed a good reference to social media engagement. I'd done some research on this (there are about a dozen posts on our blog related to social media and presidents), presented at a fair number of conferences on the subject, and was considering writing a book about it. At that time, I learned about Dan Zaiontz's work and realized that he'd written the book, so we decided to publish it. It's really terrific work: I'm very impressed with what Dan did with the topic. 2. How and why did the book come about? Why do you think there’s such a need a book of its kind? I already answered that, in part. Speaking personally, getting involved in social media wasn't a big deal for me: I could just do it when I was ready (with encouragement from Karine Joly, I jumped onto Twitter and found out that I loved it). It fit with my personal profile and with that of my company. But a typical university president has a lot of demands on her time and many more stakeholders to consider: adding more work, like Twitter or Instagram, takes thought. How are you going to fit it into your already-busy life? And, more importantly, what's the impact on my reputation--and that of my institution--if I make a mistake? Those are really legitimate questions to ask. We wanted #FollowTheLeader to be a clear, concise, and practical guide for presidents offering guidance and advice to the pitfalls--and the benefits--of engagement through social media. And I think Dan did a great job in providing an objective assessment, along with practical ideas and tools. 3. If presidents of universities and colleges who read this book could take one thing away from it, what should it be? Don't be afraid to make a commitment to social media: it can work and you can be strategic about your engagement. There are plenty of presidents--Paul LeBlanc, R. Bowen Loftin, Santa Ono, Elizabeth Stroble and many more--who are making it work for them and for their institutions. Also: you don't have to be on Twitter or Facebook if it makes you uncomfortable: it's a personal choice. 4. What are the most common mistakes/ misconceptions that universities and colleges are making when it comes to social media? Not being strategic enough and thinking through what they want to accomplish and how best to accomplish it. Having too many channels, with too few being managed effectively. Believing it's an add-on when it should be a key to their communications and engagement strategy. Believing that social media will go away. 5. What was the most surprising revelation for you that has emerged from this book? I can't say that it was surprising, but it was great to see that so many presidents had examples of ways in which they'd made connections or achieved something through social media that affirmed its value to them. One of my favorite examples is from Tom Thompson, who's president of Olds College, who described how he made a connection and developed a relationship with a government minister through Twitter, with a lot of beneficial results for the college, including funding. It helps presidents to realize how incredibly valuable social media can be as another important tool for them to use.